Integrity, Trust and Respect are the foundation stones for a sound and rewarding therapeutic relationship. I recognise the thread of energy that has brought therapist and the client together is often beyond the presenting issue. The space of psychotherapy is a sacred space where the deepest of human pain and joy can be shared. Sharon works with adult individuals, couples and children. After 15 years as an early childhood educator she understands how to listen to and creatively relate to children. Her tool box includes art materials, toys, games, a deep and an exciting sand tray. The most important tool in Sharon's tool box however when working with children is her training in gestalt therapy. Psychotherapy is really two words placed together: Psycho coming from the Greek word Psyche which means breath, soul and life and Therapeia also originating Greek which means attending to pain, illness or disability. Psychotherapy therefore is attending to the pain of the inner self. Psychotherapy provides individuals with the opportunity to explore, understand and face the challenges that affect their lives. It is not by any means exclusively for people who are unwell. Healthy vibrant and intelligent people can and do benefit from psychotherapy. Attending regular professional develpment programs and on-going clinical supervision. Sharon is a qualified Psychotherapist. Her experience includes 15 years in early childhood education and a further 10 years in Gestalt therapy. She completed 2 years of psychodrama, post graduate diplomas in Counselling and Psychotherapy and 3 years of training with the world renowned Gestalt psychotherapist Erving and Miriam Polster in the United States. She became a Reiki Master in 1998. 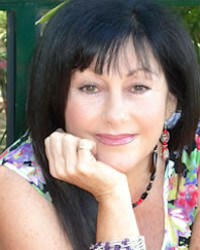 Sharon is a published author having written three books including The 12 Levels of Being, Looking for Lionel and Everyday Miracles. Her blog www.speedoflightheartedness.com is a road map for living life from the heart. One can often remember a moment in their own childhood when somethng calls to you and you know that is who I am. When I was aout 5 years old I watched a Christmas movie on television about a husband and wife who opened their home to troubled children. I knew at that moment I wanted many children of my own and that I would help people with problems. As it turned out I have five adult children now and a number of grandchildren. Of course I had to have and heal my own problems before I stepped into the healing profession but that is how it all began.